Captain W C Falkner, 2nd Mississippi Infantry, Company F, was appointed colonel, 2nd Mississippi Infantry, on 10 May, 1861. Captain B B Boone, 2nd Mississippi Infantry, Company A, was appointed lieutenant colonel, 2nd Mississippi Infantry, at Lynchburg, Campbell County, Virginia, on 10 May, 1861. Second Lieutenant D W Humpreys, 2nd Mississippi Infantry, Company B, was appointed major, 2nd Mississippi Infantry, at Lynchburg, Campbell County, Virginia, on 10 May, 1861. The company was accepted in state service for one year, under the command of Captain B B Boone, at Corinth, Alcorn County, Mississippi, on 20 February, 1861, and was mustered instate service for one year at Jacinto and Rienzi, Tishomingo County, Mississippi, on 30 April, 1861. The company was ordered to proceed by the Mobile & Ohio Railroad to Corinth, Alcorn County, Mississippi, the same day and arrived by the Memphis & Charleston Railroad on 30 April, 1861. The company was accepted in Confederate service for one year at Corinth, Alcorn County, Mississippi, on 1 May, 1861, and First Lieuetenant J M Leeth, 2nd Mississippi Infantry, Company A, was appointed captain, 2nd Mississippi Infantry, Company A, the same day. Captain B B Boone, 2nd Mississippi Infantry, Company A, was appointed lieutenant colonel, 2nd Mississippi Infantry, at Lynchburg, Campbell County, Virginia, on 10 May, 1861. The company was accepted in state service at Ripley, Tippah County, Mississippi, by Captain J R Chalmers, Irrepressibles, on 4 March, 1861, and was mustered in state service for one year on 30 April, 1861. The company was ordered to Corinth, Alcorn County, Mississippi, at 9 AM the same day and was accompanied by the Magnolia Rifles. The company arrived at Camp Wolf, on Wolf Creek, forty-five miles south of Holly Springs, Marshall County, Mississippi, at 3 PM on 30 April, 1861, and was ordered to Saulsbury, Hardeman County, Tennessee, at 5 AM on 1 May, 1861. The company arrived at Saulsbury, Hardeman County, Tennessee, at 9 AM the same day and was ordered to proceed by the Memphis & Charleston Railroad to Corinth, Alcorn County, Mississippi, at 1 PM on 1 May, 1861. The company arrived at Corinth, Alcorn County, Mississippi, at 5 PM the same day and was accepted in Confederate service for one year on 1 May, 1861. The company was accepted in state service at Verona, Itawamba County, Mississippi, on 6 February, 1861, and was mustered in state service for one year on 27 February, 1861. The company was accepted in Confederate state service for one year at Corinth, Alcorn County, Mississippi, on 1 May, 1861. The company was accepted in state service at Pine Grove, Tippah County, Mississippi, on 9 March, 1861, and was mustered in state service for one year on 27 April, 1861. The company was ordered to Lamar, Benton County, Mississippi, the same day and proceeded by the Mobile & Ohio Railroad to Corinth, Alcorn County, Mississippi, on 1 May, 1861. The company arrived at Corinth, Alcorn County, Mississippi, the same day and was accepted in Confederate service for one year on 1 May, 1861. The company was accepted in state service at Saltillo, Lee County, Mississippi, on 18 February, 1861, and was mustered in state service for one year on 30 April, 1861. The company was ordered to Corinth, Alcorn County, Mississippi, on 1 May, 1861, and arrived the same day. The company was was accepted in Confederate service for one year at Corinth, Alcorn County, Mississippi, on 1 May, 1861. The company was accepted in state service for one year at Ripley, Tippah County, Mississippi, under the command of Captain W C Falkner, on 4 March, 1861, and was mustered in state service for one year service on 30 April, 1861. The company was ordered to Corinth, Alcorn County, Mississippi, at 9 AM the same day and was accompanied by the Magnolia Rifles. The company arrived at Camp Wolf, on Wolf Creek, forty-five miles south of Holly Springs, Marshall County, Mississippi, t 3 PM on 30 April, 1861, and was ordered to Saulsbury, Hardeman County, Tennessee, at 5 AM on 1 May, 1861. The company arrived at Saulsbury, Hardeman County, Tennessee, at 9 AM the same day and was ordered to proceed by the Memphis & Charleston Railroad to Corinth, Alcorn County, Mississippi, at 1 PM on 1 May, 1861. The company arrived at Corinth, Alcorn County, Mississippi, at 5 PM the same day and was accepted in Confederate service for one year on 1 May, 1861. First Lieuetenant W L Davis, 2nd Mississippi Infantry, Company F, was appointed captain, 2nd Mississippi Infantry, Company F, the same day and Captain W C Falkner, 2nd Mississippi Infantry, Company F, was appointed colonel, 2nd Mississippi Infantry, on 10 May, 1861. The company was accepted in state at Pontotoc, Pontotoc County, Mississippi, on 2 March 1861, and was mustered in state service for one year on 30 April, 1861. The company was ordered to proceed by the Mobile & Ohio Railroad to Corinth, Alcorn County, Mississippi, the same day and arrived via Tupelo, Lee County, Mississippi, on 30 April, 1861. The company was accepted in Confederate service for one year at Corinth, Alcorn County, Mississippi, on 1 May, 1861. The company was accepted in state service at Chesterville, Pontotoc County, Mississippi, on 1 March, 1861, and was mustered in state service for one year on 29 April, 1861. The company was ordered to proceed by the Mobile & Ohio Railroad to Corinth, Alcorn County, Mississippi, the same day and arrived via Tupelo, Lee County, Mississippi, on 1 May, 1861. The company was accepted in Confederate service for one year at Corinth, Alcorn County, Mississippi, on 1 May, 1861. The company was mustered in state service for one year at Cherry Creek, Pontotoc County, Mississippi, on 27 April, 1861, and was accepted in Confederate service for one year at Corinth, Alcorn County, Mississippi, on 1 May, 1861. The company was accepted in state service at Iuka, Tishomingo County, Mississippi, on 6 April, 1861, and was mustered in state service for one year on 30 April, 1861. The company was accepted in Confederate service for one year at Corinth, Alcorn County, Mississippi, on 1 May, 1861. The company was accepted in Confederate service for three years at Ripley, Tippah County, Mississippi, on 3 March, 1862, and was ordered to proceed by the Memphis & Charleston Railroad to Corinth, Mississippi, on 19 March, 1862. The company arrived at Corinth, Alcorn County, Mississippi, on 20 March, 1862, and was mustered in Confederate service on 23 March, 1862. The company was ordered to proceed by the Memphis & Charleston Railroad to Fredericksburg, Virginia, on 24 March, 1862. The company arrived by the Richmond, Fredericksburg & Potomac Railroad at Fredericksburg, Virginia, on 6 April, 1862. "Five companies of volunteers, averaging one hundred men, from Mississippi, reached Lynchburg yesterday morning - Tishomingo Rifles, Capt. Reynolds; the Town Creek Rifles, Capt. 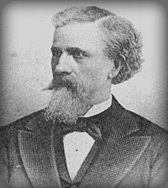 W. C. Bromley; the Magnolia Rifles, Capt. Davis; the Beck Rifles, Capt. W. D. Beck; and the Cherry Creek Rifles." "Five more companies from Mississippi - the O'Connor Rilles, Coonawa Rifles, Calhoun Rifles, Iuka Rifles, and the Pontotoc Minute Men, - about five hundred strong - arrived in this city yesterday, and, together with the companies which arrived Wednesday, composed the Second Regiment of Mississippi." "The New York Times of 2 August, 1861, stated that the 2nd Mississippi Infantry, commanded by Col William C. Faulkner, were uniformed exactly like one of the Minnesota regiments, occasioning a mistake in the late battle at First Manassas on 21 July. As the 1st Minnesota Volunteer Infantry wore red shirts at First Manassas, this would indicate that by the time they reached Virginia the 2nd Mississippi were still wearing the red flannel shirts prescribed for fatigue by the Military Board in March." The 2nd Mississippi Infantry was ordered to rendezvous at Corinth, Alcorn County, Mississippi, on 30 April, 1861, and was accepted in Confederate service on 1 May, 1861. Corinth, Alcorn County, Mississippi, to Lynchburg, Campbell County, Virginia, Companies A, C, D, F, & I, 5-8 May, 1861: The 2nd Mississippi Infantry, Companies A, C, D, F, and I, under the command of Lieutenant Colonel B B Boon and Major D W Humphreys, were ordered to proceed by the Memphis & Charleston Railroad to Lynchburg, Campbell County, Virginia, at 1 PM on 5 May, 1861, and arrived by the Virginia & Tennessee Railroad on 8 May, 1861. Corinth, Alcorn County, Mississippi, to Lynchburg, Campbell County, Virginia, Companies B, E, G, H, & K, 5-9 May, 1861: The 2nd Mississippi Infantry, Companies B, E, G, H, and K, under the command of Colonel W B Falkner, were ordered to proceed by the Memphis & Charleston Railroad to Lynchburg, Campbell County, Virginia, at 2 PM on 5 May, 1861, and arrived at Tuscumbia, Colbert County, Alabama, at 8 PM the same day. Companies B, E, G, H, and K were ordered to Stevenson, Jackson County, Alabama, in the evening on 5 May, 1861, and arrived at 8 AM on 6 May, 1861. The 2nd Mississippi Infantry, Companies B, E, G, H, and K, were ordered to proceed by the East Tennessee & Georgia Railroad to Chattanooga, Hamilton County, Tennessee, at 11 AM the same day and arrived at 6 PM on 6 May, 1861. Companies B, E, G, H, and K were ordered to Bristol, Sullivan County, Tennessee, at 7 PM the same day and arrived at 8 PM on 7 May, 1861. The 2nd Mississippi Infantry, Companies B, E, G, H, and K, was ordered to proceed by the Virginia & Tennessee Railroad to Lynchburg, Campbell County, Virginia, at 9 AM on 8 May, 1861, and arrived at Wytheville, Wythe County, Virginia, at 5.30 PM the same day. Companies B, E, G, H, and K were ordered to Dublin, Pulaski County, Virginia, at 6 PM on 8 May, 1861, and arrived at Lynchburg, Campbell County, Virginia, at 12 AM on 9 May, 1861. Mustered for one year, Lynchburg, Campbell County, Virginia, 10 May, 1861: The 2nd Mississippi Infantry was mustered in Confederate service for one year at Lynchburg, Campbell County, Virginia, by Major & Assistant Adjutant General H L Clay, Confederate States Army, at 12 PM on 10 May, 1861. Note: The 2nd Mississippi Infantry was stationed at Camp Walker, Lynchburg, Campbell County, Virginia, on 10 May, 1861. Lynchburg, Campbell County, to Harpers Ferry, Jefferson County, Virginia, 17-20 May, 1861: The 2nd Mississippi Infantry was ordered to proceed by the Orange & Alexandria Railroad to Harpers Ferry, Jefferson County, Virginia, at 6 AM on 17 May, 1861, and arrived at Charlottesville, Albemarle County, Virginia, at 4 PM the same day. The regiment arrived at Manassas Junction, Prince William County, Virginia, at 12 AM on 18 May, 1861, and was ordered to proceed by the Manassas Gap Railroad to Strasburg, Shenandoah County, Virginia, at 10.30 AM the same day. The 2nd Mississippi Infantry was accompanied by the 11th Mississippi Infantry and arrived at Strasburg, Shenandoah County, Virginia, at 4.30 PM on 18 May, 1861. The 2nd Mississippi Infantry was ordered to proceed by the Valley Turnpike to Winchester, Frederick County, Virginia, at 7.30 AM on 19 May, 1861, and arrived at 3.30 PM the same day. The regiment was ordered to proceed by the Winchester & Potomac Railroad to Harpers Ferry, Jefferson County, Virginia, at 8 AM on 20 May, 1861, and arrived at 12 PM the same day. Bolivar Heights, one & a half miles west of Harpers Ferry, Jefferson County, Virginia, 21 May, 1861: The 2nd Mississippi Infantry was ordered to Bolivar Heights, one and a half miles west of Harpers Ferry, Jefferson County, Virginia, at 3 PM on 21 May, 1861. Evacuation Harpers Ferry, Jefferson County, Virginia, 15 June 1861: The 2nd Mississippi Infantry evacuated Harpers Ferry, Jefferson County, Virginia, in the morning on 15 June, 1861, and was ordered to proceed by the Smithfield, Charlestown & Harpers Ferry Turnpike to Winchester, Frederick County, Virginia, the same day. The regiment arrived at Charlestown, Jefferson County, Virginia, in the afternoon on 15 June, 1861. Note: The sick of the 2nd Mississippi Infantry was ordered to proceed by the Winchester & Potomac Railroad to Winchester, Frederick County, Virginia, at 2 PM on 13 June, 1861, and the 2nd Mississippi Infantry was stationed at Camp Johnston, on the Berryville & Charleston Turnpike, on the North or South Fork of Bull Skin Run, three or four miles west of Charlestown, Jefferson County, Virginia, in the evening on 15 June, 1861. Camp Johnston, on the Berryville & Charleston Turnpike, on the North or South Fork of Bull Skin Run, three or four miles west of Charlestown, Jefferson County, to Mill Creek, a quarter of a mile north of Bunker Hill, Berkeley County, Virginia, 16 June, 1861: The 2nd Mississippi Infantry was ordered to Bunker Hill, Berkeley County, Virginia, at 9 AM on 16 June, 1861, and arrived at Mill Creek, a quarter of a mile north of Bunker Hill, via Smithfield or Middleway, Berkeley County, Virginia, in the evening the same day. Note: The 2nd Mississippi Infantry was assigned to the Third Brigade, Army of the Shenandoah, under the command of Senior Colonel W C Falkner, 2nd Mississippi Infantry, at Mill Creek, a quarter of a mile north of Bunker Hill, via Smithfield or Middleway, Berkeley County, Virginia, on 16 June, 1861. Mill Creek, a quarter of a mile north of Bunker Hill, Berkeley County, to Stephenson's Station, on the Winchester & Potomac Railroad, four miles northeast of Frederick County, Virginia, 17 June, 1861: The 2nd Mississippi Infantry was ordered to proceed by the Martinsburg Turnpike to Winchester, Frederick County, Virginia, at 2 PM on 17 June, 1861, and arrived at Camp Defiance, Stephenson's Station, on the Winchester & Potomac Railroad, four miles northeast of Winchester, Frederick County, Virginia, in the evening the same day. Camp Defiance, Stephenson's Station, on the Winchester & Potomac Railroad, four miles northeast of Winchester, to Apple Pie Ridge, half a mile northwest of Winchester, Frederick County, Virginia, 20 June, 1861: The 2nd Mississippi Infantry was ordered to Winchester, Frederick County, Virginia, in the morning on 20 June, 1861, dated PM on 19 June, 1861, and arrived at Apple Pie Ridge, half a mile northwest of Winchester, Frederick County, Virginia, the same day. Apple Pie Ridge, half a mile northwest of Winchester, Frederick County, to Harpers Ferry, Jefferson County, Virginia, 28 June, 1861: The 2nd Mississippi Infantry was ordered to proceed by the Winchester & Potomac Railroad to Harpers Ferry, Jefferson County, Virginia, at 12 AM on 28 June, 1861, and arrived via Halltown, Jefferson County, Virginia, at 7 AM the same day. Note: The 2nd Mississippi Infantry destroyed the railroad stock on the Baltimore & Ohio Railroad and recovered public property at Harpers Ferry, Jefferson County, Virginia, on 28 June, 1861. Harpers Ferry, Jefferson County, to Apple Pie Ridge, half a mile northwest of Winchester, Frederick County, Virginia, 28-29 June, 1861: The 2nd Mississippi Infantry was ordered was to proceed by the Winchester & Potomac Railroad to Winchester, Frederick County, Virginia, at 2 PM on 28 June, 1861, and arrived at Apple Pie Ridge, half a mile northwest of Winchester, Frederick County, Virginia, at 12 AM on 29 June, 1861. Apple Pie Ridge, half a mile northwest of Winchester, Frederick County, to Darkesville, Berkeley County, Virginia, 2-3 July, 1861: The 2nd Mississippi Infantry was ordered to proceed by the Martinsburg Turnpike to Darkesville, Berkeley County, Virginia, at 12 PM on 2 July, 1861, and arrived via Bunker Hill, Berkeley County, Virginia, at 10 AM on 3 July, 1861. Darkesville, Berkeley County, to Apple Pie Ridge, half a mile northwest of Winchester, Frederick County, Virginia, 7 July, 1861: The 2nd Mississippi Infantry was ordered to Winchester, Frederick County, Virginia, at 11 AM on 7 July, 1861, and arrived at Apple Pie Ridge, half a mile northwest of Winchester, Frederick County, Virginia, at 8 PM the same day. The 2nd Mississippi Infantry was ordered to Manassas Junction, Virginia, by Special Orders No.1, Headquarters, Army of the Shenandoah, Winchester, Frederick County, Virginia, at 1 AM on 18 July, 1861, dated 17 July, 1861. Apple Pie Ridge, half a mile northwest of Winchester, Frederick County, to Piedmont Station, Fauquier County, Virginia, 18-19 July, 1861: The 2nd Mississippi Infantry was ordered to Piedmont Station, Fauquier County, Virginia, at 2 PM on 18 July, 1861, and arrived at Berry's Ferry, on the Shenandoah River, three and a half miles southeast of Millwood, Clarke County, Virginia, at 11 PM the same day. The regiment was ordered across the Shenandoah River at Berry's Ferry, three and a half miles southeast of Millwood, Clarke County, Virginia, in the evening on 18 July, 1861, and arrived at Piedmont Station via Ashby's Gap, Paris, and Upperville, Fauquier County, Virginia, at 9 PM on 19 July, 1861. Piedmont Station, Fauquier County, to Manassas Junction, Prince William County, Virginia, 20 July, 1861: The 2nd Mississippi Infantry was ordered to proceed by the Manassas Gap Railroad to Manassas Junction, Prince William County, Virginia, at 2 AM on 20 July, 1861, and was accompanied by General J E Johnston and Brigadier General B E Bee, Confederate States Army. The regiment arrived at Camp Pickens, Manassas Junction, Prince William County, Virginia, at 9.30 AM the same day. Camp Pickens, Manassas Junction, Prince William County, Virginia, to Orange & Alexandria Railroad, one & a half miles southwest of McLean's Ford, on the Bull Run River, 20-21 July, 1861: The 2nd Mississippi Infantry was ordered one and a half miles southwest of McLean's Ford, on the Bull Run River, at 11 AM on 20 July, 1861, and was stationed at Camp Walker, on the Orange & Alexandria Railroad, one and a half miles southwest of McLean's Ford, on the Bull Run River, between 20 and 21 July, 1861. After the first battle of Manassas the 2nd Mississippi Infantry arrived at Camp Walker, on the Orange & Alexandria Railroad, one and a half miles southwest of McLean's Ford, on the Bull Run River, the evening on 21 July, 1861. Camp Walker, on the Orange & Alexandria Railroad, one & a half miles southwest of McLean's Ford, McLean's Ford, to the vicinity of F Lewis' Farm, a quarter of a mile southwest of Lewis' Ford, on the Bull Run River, 23 July, 1861: The 2nd Mississippi Infantry was ordered to the vicinity of F Lewis' Farm, a quarter of a mile southwest of Lewis' Ford, on the Bull Run River, in the morning on 23 July, 1861. Vicinity of F Lewis' Farm, a quarter of a mile southwest of Lewis' Ford, on the Bull Run River, to Lewis' Ford, the Bull Run River, 25 July, 1861: The 2nd Mississippi Infantry was ordered to the Bull Run River in the evening on 25 July, 1861, and arrived at Camp Bee, Lewis' Ford, on the Bull Run River, on the Bull Run River, the same day. Camp Bee, Lewis' Ford, Bull Run River, to Bristoe Station, on the Orange & Alexandria Railroad, Prince William County, Virginia, 3 August, 1861: The 2nd Mississippi Infantry was ordered to Bristoe Station, on the Orange & Alexandria Railroad, Prince William County, Virginia, at 7 AM on 3 August, 1861, and arrived at Camp Jones, Bristoe Station, on the Orange & Alexandria Railroad, Prince William County, Virginia, the same day. Reorganised at Yorktown, York County, Virginia, 21 April, 1862: The 2nd Mississippi Infantry was reorganised at Yorktown, York County, Virginia, on 21 April, 1862. Surrendered at Appomattox Courthouse, Appomattox County, Virginia, 9 April, 1865: The 2nd Mississippi Infantry surrendered at Appomattox Courthouse, Appomattox County, Virginia, on 9 April, 1865. Second Corps, Army of the Potomac, 25 September, 1861: Major General G W Smith, Confederate States Army, was assigned to the command the Second Corps, Army of the Potomac, by General Orders No.31, Headquarters, Army of the Potomac, Camp Pickens, Manassas Junction, Prince William County, Virginia, on 25 September, 1861. The 2nd Mississippi Infantry was assigned to the Third Brigade, Second Corps, Army of the Potomac, under the command of Brigadier General W H C Whiting, Confederate States Army, on 25 September, 1861.